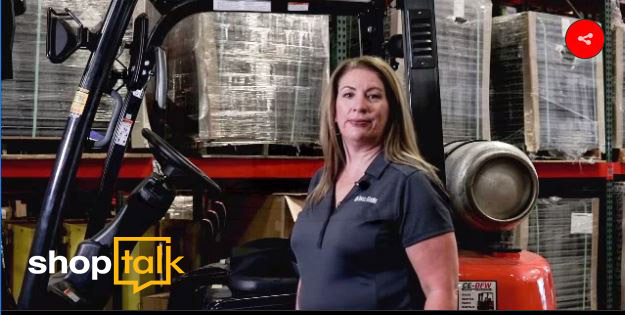 Susan, who has been with Cisco-Eagle’s safety division for over 5 years, has helped many customers find solutions to forklift/pedestrian problems within their facilities. If you have a difficult intersection, dangerous work cell or blind corner, Susan has probably seen a similar situation, and can help you resolve it. The unique thing about ZoneSafe is that it doesn’t rely on motion detection, and can work in areas where visibility is zero. In the video above, it works through a stocked rack aisle that would prevent the driver or the pedestrians from seeing each other — and it warned both parties of the potential accident. Look for more Shoptalk videos from Cisco-Eagle coming soon!